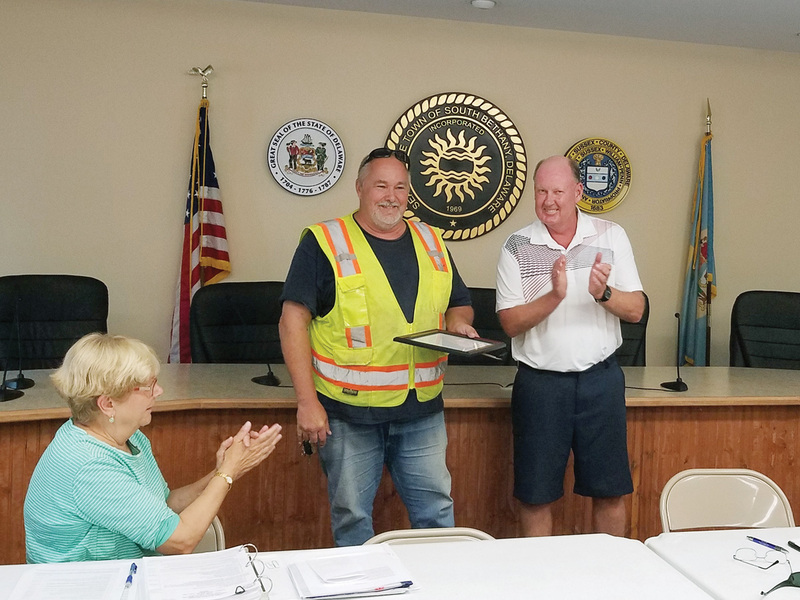 Retiring Public Works Supervisor Don Chrobot was recently honored for his dedication to the Town of South Bethany. Both the town council and his coworkers applauded Chrobot as he recently accepted a resolution in honor of his dedication to the Town. He was commended for his faithful service and was offered sincere thanks for countless projects, including stormwater projects, canal diffusers, drainage, Adopt-A-Canal road-end programs, artful streetscaping, movie nights, street repairs, storm preparation and recovery, snow removal, beach maintenance and more. Taking over in Chrobot’s stead these days is Jon Stiffler, a South Bethany seasonal employee of three years.